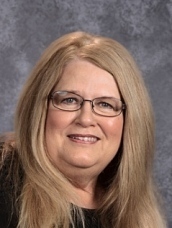 Our first Teacher Feature today is Ms. Bonnie Hayden. Bonnie has been with the district for 13 years! 6. First Job: Besides pulling weeds out of my dad's row crops, I worked at the Hortons Dime Store in Lamar. 8. Unique Fact: I try to find good in everyone. 9. Year you started teaching: I started teaching at Golden City Pre-School in 1994.